Virtually all parents save their kids' baby teeth, they just do not know what to do with them!! Now, our tooth organizer can help... Baby teeth are truly precious souvenirs of our children's growing years and they need a home in our family memories. * The lid protects the important contents inside the box from dust and spills- which are inevitable when you have a little baby running around! * On The inside of the inside, the top section (under the lid) has room to write a profile about your child: your baby's name, date of birth, birth weight and height, constellation, blood type, and best wishes for your baby. * There are labels for the different kinds of teeth: molars, canines, and incisors, and there are even spaces to hold the umbilical cord and the lanugo (soft hair on a newborn baby). 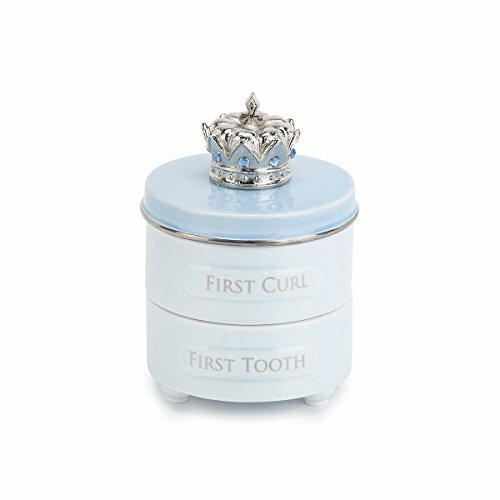 Note: 1 Children lose their baby teeth about 5 years old generally, parents can prepare this tooth box for keepsake. 2.Then take the lost teeth for 5 minture boiling to sterilize, and let them air-dry. 3.At last,keep the clean teeth in this baby tooth box and take a note. Baby Teeth contain DNA and Stem Cells! Save your childs baby teeth in a safe place, they can be life saving! 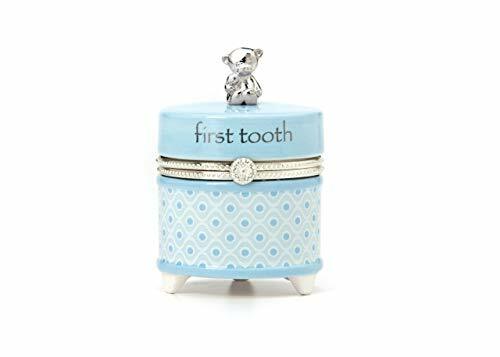 Capture this important milestone with this First Tooth Keepsake Box. The hinged cover and detailed metal accents make this a keepsake you will treasure. This baby tooth box is 1 1/2" wide by 1" high. The box is crafted from solid maplewood to keep all those precious baby teeth safe. The top fits snugly but not overly tight. 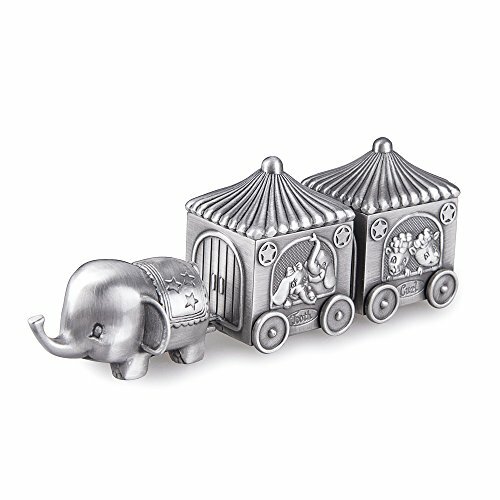 Specifications: - Material: Zinc Alloy with Engraved - Color: Polishing Antique Pewter Package List: - Set of 2pcs keepsake box Exquisite Design - Handcraft Antique Metallic Floral Engraved Elephant shape on the surface. 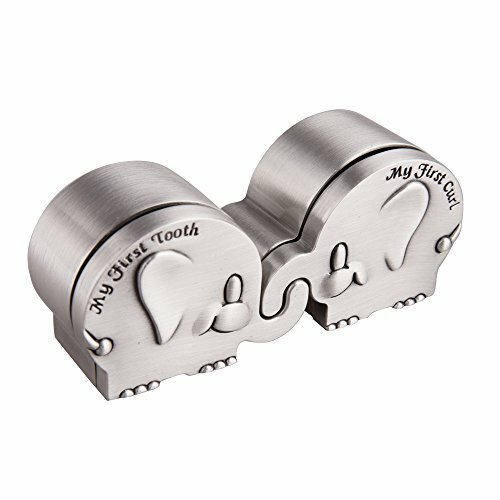 -Exquisite Polishing Handcraft Metallic Floral Engraved, Elephant Shape Cover Carved with Cute Words: "My First Curl" and "My First Tooth". - Blue Velvet Inside to arrange the First Curl and First Tooth for kids to keepsake and memorize. About Color Difference: - Baby Keepsake box may exist may have a little color difference for each batch from factory. Also there might be color difference, due to the computer screen display differently. Hope you could understand! Maintenance Methods: 1. Please clean the box with a soft, dry cloth. 2. No need to wash blue lint inside. Specifications: - Material: Zinc Alloy with Engraved - Color: Polishing Antique Pewter Package List: - Set of keepsake box Exquisite Design - Handcraft Antique Metallic Floral Engraved Elephant shape on the surface. 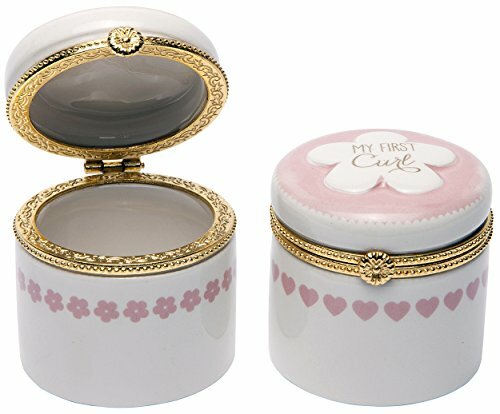 -Exquisite Polishing Handcraft Metallic Floral Engraved, Elephant Shape Cover Carved with Cute Words: "My First Curl" and "My First Tooth". - Blue Velvet Inside to arrange the First Curl and First Tooth for kids to keepsake and memorize. About Color Difference: - Baby Keepsake box may exist may have a little color difference for each batch from factory. Also there might be color difference, due to the computer screen display differently. Hope you could understand! Maintenance Methods: 1. Please clean the box with a soft, dry cloth. 2. No need to wash blue lint inside. Founded in 1997 DEMDACO offers a hand-selected collection of tailor-made products that celebrate how people live in their homes, engage with family and friends, and treat themselves. 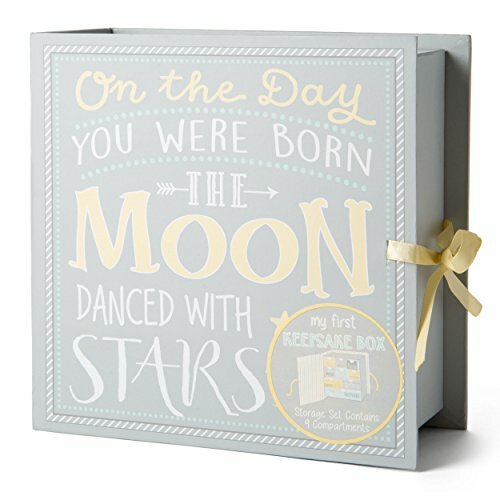 The unique assortment includes inspirational and gift able products for home, entertaining, holidays, the outdoorsman, baby, fashion and jewelry. Our hope is to offer DEMDACO products that reflect a person's desire to nurture goodness in their own lives and in the lives of others. 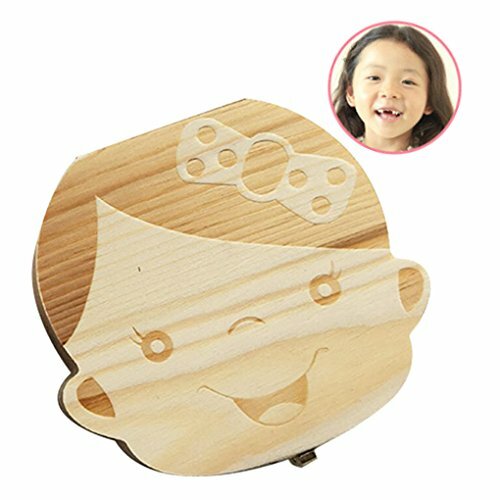 Looking for more 1st Tooth Box similar ideas? Try to explore these searches: Peep Toe Low Wedge Shoes, Western Bathroom Decor, and Lined Mesh Vest. 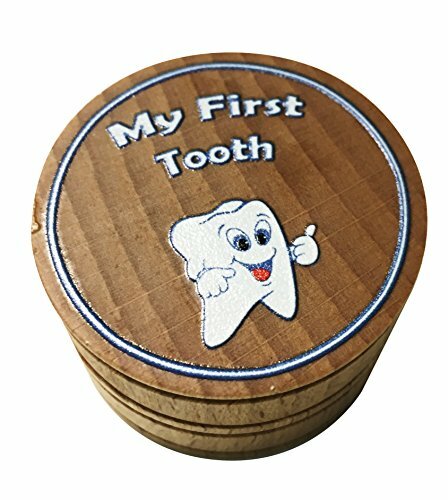 Look at latest related video about 1st Tooth Box. Shopwizion.com is the smartest way for online shopping: compare prices of leading online shops for best deals around the web. 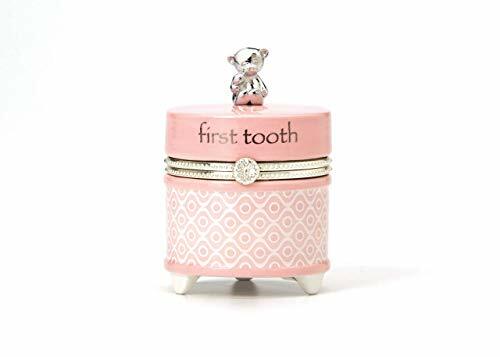 Don't miss TOP 1st Tooth Box deals, updated daily.